The Bucerius Kunst Forum is showing around 150 works by Marc Chagall (1887 – 1985) in an exhibit titled Marc Chagall. Lifelines now through January 16, 2011. 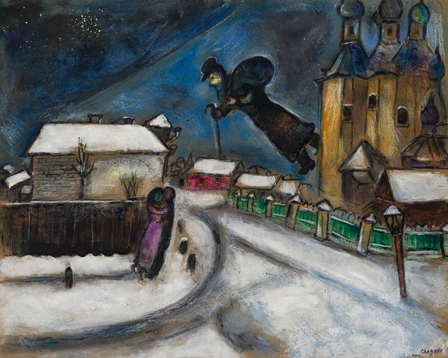 The exhibition presents numerous paintings, drawings and prints by Chagall from the collection of the Israel Museum in Jerusalem, which can be seen for the first time in Germany. It also explores the special relationship between the painter and his wife in the context of his artistic work. It continues the autobiography first time directly with the works of Chagall’s name. “Something Old, Something New” Jewelry artist Marianne Hunter incorporates estate jewels into her gorgeous new pieces. You can meet her at the upcoming Washington Craft Show. Not only are those the words of a popular children’s song, they are words to live by for Marianne Hunter, a jewelry artist working in a small studio in Ranchos Palos Verdes, California; where she will often take precious stones and other pieces from estate jewelry and repurpose them in her new creations. “The idea of re-utilizing, or recycling, materials from one form into another is certainly not new with me,” says Hunter. “Many jewelers will redesign around a client’s stones. Some designers have based their entire body of work around the creative re-combination of found materials.” Hunter sees similarities between her work and that of clothing/quilting designers, sculptors and others, who “also take inspiration and build pieces from recycled materials – new or old,” she says. One example of Hunter’s recycling can be found in a piece she titled “Kabuki Kachina of Gentle Regard.” (Hunter names all of her pieces, and writes a short poem for each, which is delivered to the client along with the jewelry). 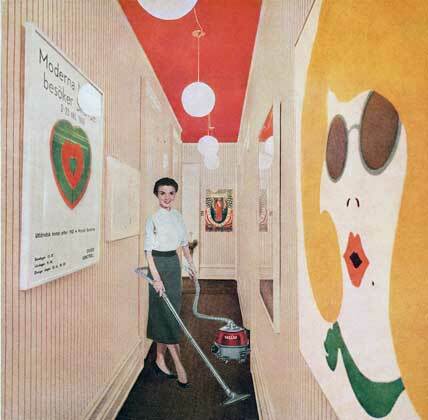 Seductive Subversion: Women Pop Artists, 1958–1968 exhibition features more that fifty works by Pop art’s most significant female artists and is the first major exhibition to explore in depth the contributions of female Pop artists. The exhibition will be on view in the Museum’s Elizabeth A. Sackler Center for Feminist Art and in the adjacent fourth-floor Schapiro Wing galleries at the Brooklyn Museum. Thursday, October 14, 2010 from 10:00 AM to 1:00 PM, curators Sid Sachs and Catherine Morris will be on hand to answer questions. The exhibition will run from October 15, 2010 through January 9, 2011. 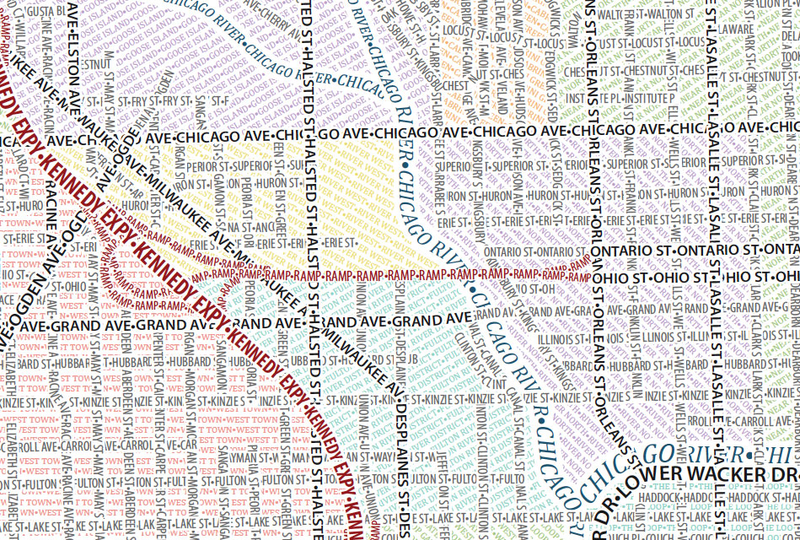 Axis Maps unveils their new art project called Typographic Maps. These unique maps accurately depict the streets and highways, parks, neighborhoods, coastlines, and physical features of the city using nothing but type. The full picture of the city emerges only by manually weaving together thousands upon thousands of carefully placed words. Every single piece of type was manually placed, a process that took hundreds of hours to complete for each map. French cartoonist Claude Serre (November 1938 – November 1998) started drawing cartoons, after a an eight year stint studying stained glass under Max Ingrand. 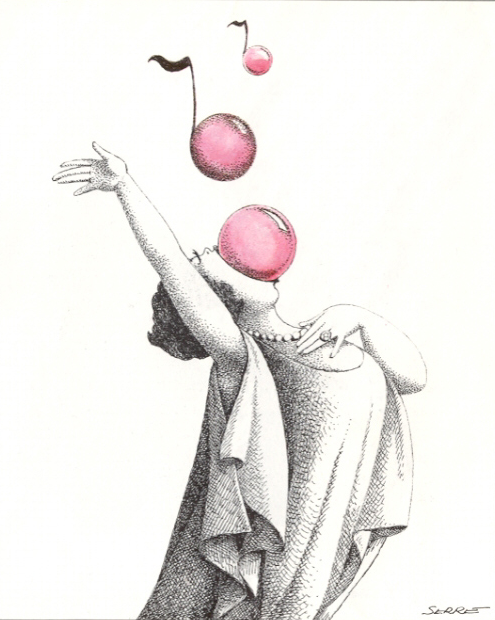 He illustrated for such French publications as Plexus, Planet, Hara-Kiri, Pariscope and La Vie Electrique. As you can see his illustrations are quite satirical, gruesome and humorous. Here are some of his drawings pertaining to music. Who is Lagoi and Lace and what is Love Land Invaders? Think photography meets graphic design, meets fashion. 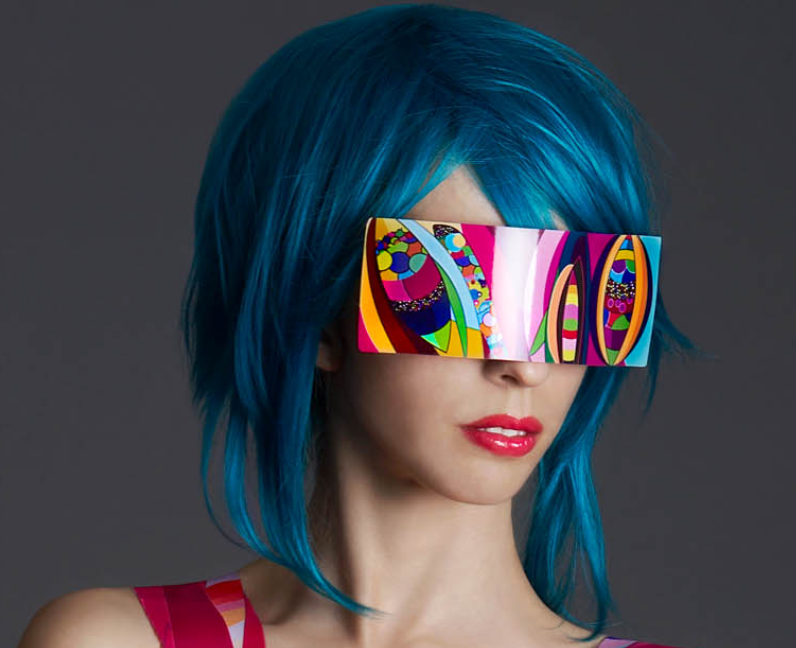 Ralph Lagoi and Kate Lace are the dynamic duo behind Lagoi and Lace, who put together a surreal, pop art, fashion photographic experience called Love Land Invaders. They scouted for the most outrageous love hotel rooms across Japan and infused this backdrop with masks, glasses, shields, armor, jewelry, customized clothes to create characters that represent different aspects of beauty, such as dark elegance, the beauty of play, of a gentleman and of the wilderness, to name a few. 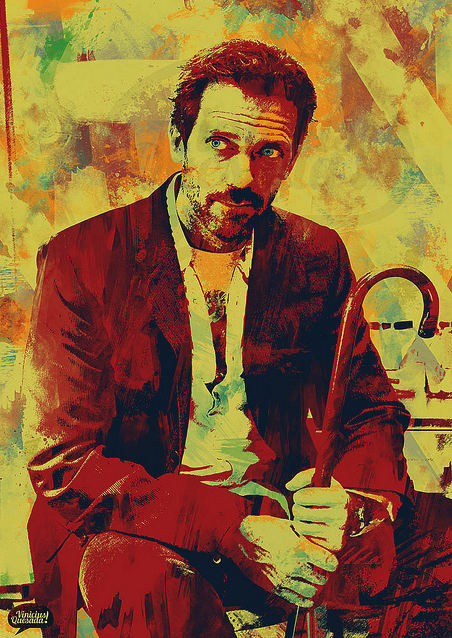 Artist Vinicius Quesada from São Paulo, Brazil designs these interesting ‘poster’ prints with an exaggerated sepia, brick and yellow color set that makes the art pop.